According to this thread on FlyerTalk, Barclay’s has been sending targeted emails to The US Airways® Premier World MasterCard® holders. The emails offer up to between 2X-10X bonus points in certain spending categories, including grocery stores and movie theaters. FlyerTalkers are reporting that bonus miles are being capped at 2,500 miles during the promotional period between January 1-March 31st. According to the terms and conditions, you must activate the offer by January 20 in order to be eligible to earn bonus miles. Bonus miles earned through the promotion will post to your account 6-8 weeks after the promotion ends. The most important eligibility requirement is having a Barclay’s US Airways MasterCard. Most on FlyerTalk are posting that they received an email communication, literature in the mail, or both. I actually received both a little over a week ago and am eligible for 5X Dividend miles on certain purchases. The full details from the email are below. After clicking “Activate Today” you will be brought to a simple sign up screen. Check the box and hit Submit. You should receive an activation email shortly after. Barclay’s offered me 5X points at grocery stores, movie theaters, and utility bills. It’s disappointing that this offer is capped at only 2,500 bonus miles (or $500 in spending), but Barclay’s is clearly being aggressive in trying to retain their current cardholders. They clearly want your everyday spending to stay with them! This promo might even be an experiment: we could see similar promo emails in future quarters with different spending categories. Will you be taking full advantage of this promotion? Absolutely. $500 should be a relatively easy threshold to reach. I rarely go to the movies, but will shift my cable/internet bills to my US Airways MasterCard. I had previously been using my American Express Hilton HHonors Surpass card which offers 6X HHonors points on utility bills. At the Mile Value Leaderboard, we value US Airways Dividend miles at 1.95 cents. Though our hotel point valuations are still in the pipeline, 5 Dividend miles much more than 6 HHonors points (which are somewhere between .4 and .6 cents each). I will either shift my regular grocery spending to the US Airways MasterCard or simply purchase some gift cards to quickly reach the $500 spending cap. Either way, maximizing this promotion should be easy. I am a US Airways MasterCard holder and didn’t get a letter or an email. What should I do? Definitely call the customer service number on the back of your card. You should (politely) chat with a customer service rep and see if there is any way you can be registered for the promotion. In limited encounters, I’ve found Barclay’s reps to be very reasonable and receptive. I am not a US Airways MasterCard holder but am thinking of applying. Do I have a shot at signing up for this promo? As always, it can’t hurt to ask. The worst that you get is a firm “no.” Scott actually did a great write up of the new 40K US Airways MasterCard offer earlier this month, including discussing their incredible value and sweet spot award redemptions. Since that post, Scott even broke down US Airways newly announced route between Charlotte <-> Sao Paulo and how US Airways MasterCard holders can book that award (or Charlotte <-> Rio de Janeiro) for a mere 30K miles. See his post, Roundtrip to Sao Paulo or Rio for 30K miles for a complete step by step. If you are thinking about applying or have recently been accepted for the card, give Barclay’s customer service a call and try to register for this bonus promotion. This is a great time to own the card. 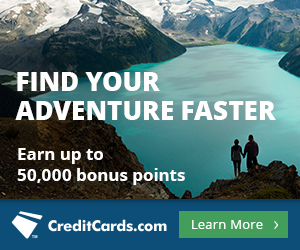 Barclay’s has been sending promo emails to targeted US Airways MasterCard holders. Eligible cardholders can earn between 2X-10X bonus points in certain spending categories between January 1-March 31st. Registration is required by January 20th. If you have the card but didn’t receive an email, give Barclay’s a call and try to register. There is absolutely no downside in trying. We love US Airways Dividend miles because of their offpeak awards to South America and Europe. They also have several sweet spot redemptions, such as 90K miles from the US to North Asia in flatbed business class. United charges 120K miles for the exact same award. They are currently tops on the Mile Value Leaderboard for good reason. Just wanted to let you know that it’s not capped at 2,500. I have up to 5,000 pts offered. Glad to hear that others are getting better offers than just 2,500! The email I received does not have any activation link. Strange. You can always call into Barclay’s customer service number and get them to register you manually. I wasnt targeted for the promo but called anyway. the nice rep asked for promo code and said I lost the letter but she registered for me anyway, then I asked if the code was necessary to activate but she said it is just additional info but not a must. so she registered me and I m now activated to spend. give a try and call, it doesnt hurt. thanks for the post and Happy New Year. That’s great news for those who have the card but didn’t receive the email/mailer. Mine is 5x capped at 5000. 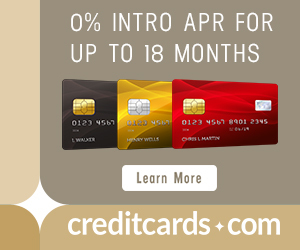 I am new to this game and signed up for the US Airways fee card that does not come with the 10,000 at the end of the first year, because I was unaware there were two similar cards being offered. Both my husband and I got the cards in late November/early December. Who can we call to see if we can be upgraded to the better terms (no fee, 10,000 miles annually)? I think I read somewhere that sometimes one can get switched to the better offer. Thanks. I would call the customer service number on the back of your card and politely ask. The offer with the 10K annual Dividend miles bonus is targeted to US Airways employees and top tier elites. It’s worth a shot, though. Thanks, Bill! Happy new year! As a point of information, I got a similar offer for the Barclays Choice Privileges Visa. It’s for groceries, movies and utilities at 10x through March 31. Only 2,500 bonus points allowed, though. the only thing I can say the barclays/usair are super slow in posting any bonus to your account. they told me it can take 3 months…. I just received the card a couple of days ago, so I phoned in this morning to ask for the promotion. The CSR was very friendly and suggested (but didn’t promise) that they would add it to the card. I received my offer by mail (5x, up to 2,500) but there is no mention of an activation requirement. I had called US Airways MC on in Jan and discussed closing my card due to the annual fee. The rep I spoke with said they could either reduce the fee, or they could waive it and reduce the points structure. Upon calling today to confirm which choice I was going with, the Rep said there was no record of this conversation, and there was nothing I could do. Has anyone else had this issue? If a rep offers some sort of incentive for keeping a card, I either take it on the spot or close the card during that phone call. If you remember any of the pertinent details (time of call, details of the offers made), I would try to call back and see if they honor it. why cant I activate my website to enter online?